Retailers are talking big about wellness, showcasing chemical-free beauty products, all-natural lines and affordable organics, but few shoppers are buying that retailers genuinely care about their health. It’s not enough to say your brand philosophy sits cozily on the corner of “Happy and Healthy,” or that you’ve been providing health care for 100 years, or that you no longer carry cigarettes. All of these retail moves fall flat with shoppers when the store doors open to endcaps stocked high with artificial chips and sugar bombs. The big business of wellness is now clocking in at $4.2 trillion globally, according to recent research by the Global Wellness Institute. And in the U.S., 42% of shoppers agree that it costs more to live healthy – but it’s worth it, according to our latest How America Shops® report, The Big Business of Well. But where are those dollars being spent? 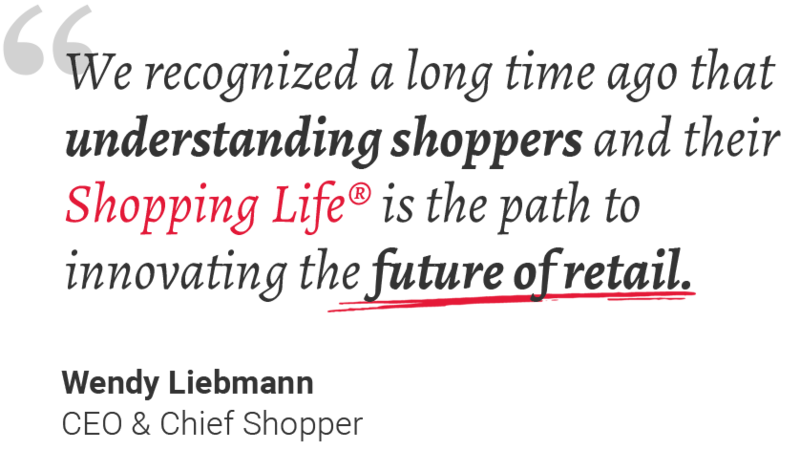 To help retailers see themselves as shoppers do, WSL created a “Caring Score” to measure how many shoppers agree the stores they shop are walking the talk in wellness. The scores show there is room for improvement: The highest retailer score was 54 out of 100. Of the 13 retailers we tested, almost all scored under 50. Stocking bananas at the checkout just isn’t going to cut it. Being an all-natural business isn’t enough if you are too pricey. Talking about the goodness of organics while displaying sugary drinks is a contradiction. Look at where your shoppers want to be well. It’s not always in the most predictable categories. Eco-friendly packaging, non-toxic furniture, hormone tests, sexual aids and even frozen pizzas (veggie or vegan) offer elements of wellness that answer to individual preferences. Change the company culture so it commits to a wellness-based role. To be authentically caring, it’s not enough to just sell stuff; you have to encourage healthy living. Companies like Orthly and Candid Co. sell DIY teeth-straightening kits that make orthodontics convenient and affordable (and CVS is opening teeth-aligning kiosks by competitor SmileDirectClub ). Giant Food Stores’ Heirloom Market, in Philadelphia, features kombucha on tap and an entire plant-based cold food section. And New York’s NutriDrip literally infuses visitors – by IV – with a range of vitamin solutions for energy, anxiety and beauty at its nutrition and hydration drip lounges. Introduce 2-in-1 everyday products that now include wellness properties. Sun-protecting apparel, VitaCup’s vitamin-infused coffee and natural oils that can both cleanse and moisturize enable us to get tasks done quicker. Partner outside you comfort zone. Unexpected unions can strengthen your caring image. Take Best Buy’s agreement to acquire GreatCall, a maker of mobile devices and wearables for seniors who need help, and Apple’s Series 4 smartwatch fetched the FDA’s approval for its ECG (electrocardiography) capabilities. Such alignments provide valuable services and reinforce a company culture of caring. These four thoughts not only will lead you to the corner of “Happy and Healthy,” they will ensure you continue to walk the wellness talk. Walking is a good exercise, after all. Want to see more retailer Caring Scores? We have the diagnostics to help you improve. Learn more about this report here.